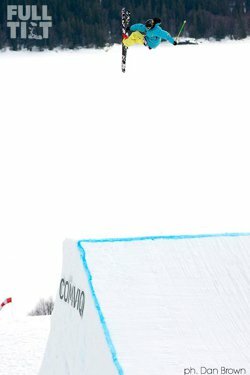 SEATTLE, WA &ndash; The most talked about park skier on the planet, Tom Wallisch (i.e. Todd Walnuts, The Pretzel Man, King of Afterbang) recently signed with Full Tilt Boots, solidifying his relationship with the brand. During the 08/09 season, Tom garnered victories at both the Dew Tour and Dumont Cup, as well as a $20k sponsorship from Coast Bodywash during its &ldquo;Make Me Famous&rdquo; contest all while rocking his Full Tilt Hot Doggers. With the Internet flooded with coverage of Wallisch&rsquo;s undeniable skills and luminous presence, Full Tilt, couldn&rsquo;t pass up the opportunity to work with a skier of such influential style and talent. The athlete and the company are stoked to take on the 09/10 season in full force. &quot;I'm just overall really stoked and really excited to be working with Full Tilt. They've got the best products out there, and it's an awesome company to work with. I think we'll be able to do big things together!&quot; says Wallisch. WATCH WALLISCH&rsquo;S EXCLUSIVE FULL TILT WEB EDIT: Seek out your local Full Tilt Boots dealer to find the password located in the Full Tilt catalog. Then go to http://www.FullTiltBoots.com to watch! From the boot&rsquo;s innovative look, to its one-of-a-kind natural flex and big name pros standing atop the podiums for the past 25 years, Full Tilt boots are living legends. The revolution in 3-Piece boot design started here, and continues from here&hellip;for the good of skiing. 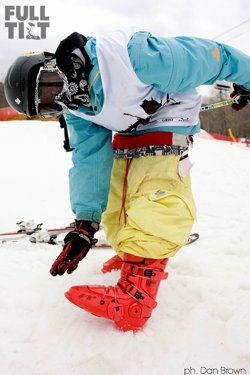 For more information visit http://www.FullTiltBoots.com.